My mother sent me to an exclusive school because she always believes that education is the best gift you could give a child. And my mom definitely would want the best gift for her only daughter. I must say, the educational institution where I graduated middle school has truly prepared me for college. It likewise molded my deep faith in Jesus. My husband also came from an exclusive school. He would always tell our children how his mother worked hard to send him to school. He would want our boys to study where he spent his almost 10 years discovering about Science, Math, and English. Only that the place is just too far from where we are staying. Thus, the next big thing is to look for an equally reliable school for our boys. Our three children are all enrolled in an exclusive Catholic school. We are struggling in terms of tuition fee and other school needs. But still, because we would want them to receive a good educational foundation, we work hard to send them to that school. My husband and I believe that such solid high school foundation will ready our boys for college and the workforce. Their school, for one, is focused on developing the core skills its students need to master and ready themselves for life and learning after mid school. I felt like sending our children to school is never-ending. Because in just a few years from now, we will again have two boys entering grade school. I would want to remain positive we will be able to give them the same education we are giving to their three kuyas. Thinking though we will again wake up early for the school service, rush to make assignment and projects, and go through those bullies and the likes, I sometimes think of Jose Rizal’s mother, Doña Teodora Alonzo. Or my high school classmate Blessie Adlaon. Or her friends I met years ago when I needed reliable mommy bloggers to work with on some projects. They are Tina Rodriguez and Michelle Padrelanan. What is common about these four strong women is their strong love for their children. They also have such great faith in their youngsters to strive in a homeschooling set up. Yes, Doña Teodora was famous for being Rizal’s first teacher. The three mommies I’ve mentioned are homeschooling their children, too. In fact, Michelle, for one, has successfully graduated their two older kids who are now thriving in college. Michelle has been homeschooling their children since 2002. Her passion for homeschooling has led her to create her blog in 2010. Her blog Beyond The Silver and The Gold aims to encourage and inspire other families to homeschool. She firmly believes that the key to nation building is building up a strong family. Therefore, parenting needs to be intentional. She and her husband work together to build up their children’s faith in God, develop their character, and strengthen their family values. She is well-known in the homeschool community as an influencer, blogger, speaker, and a veteran homeschool mom. It is for this reason that I would want to homeschool our two little ones as well. Not to be well-known in the homeschooling community but to build a strong family. To build up our children’s faith in God and faith in their parents as their first teachers. To develop their character and confidence in themselves to learn in a homeschooling setting. And to strengthen their family values and be able to carry the same values as they start their own family. 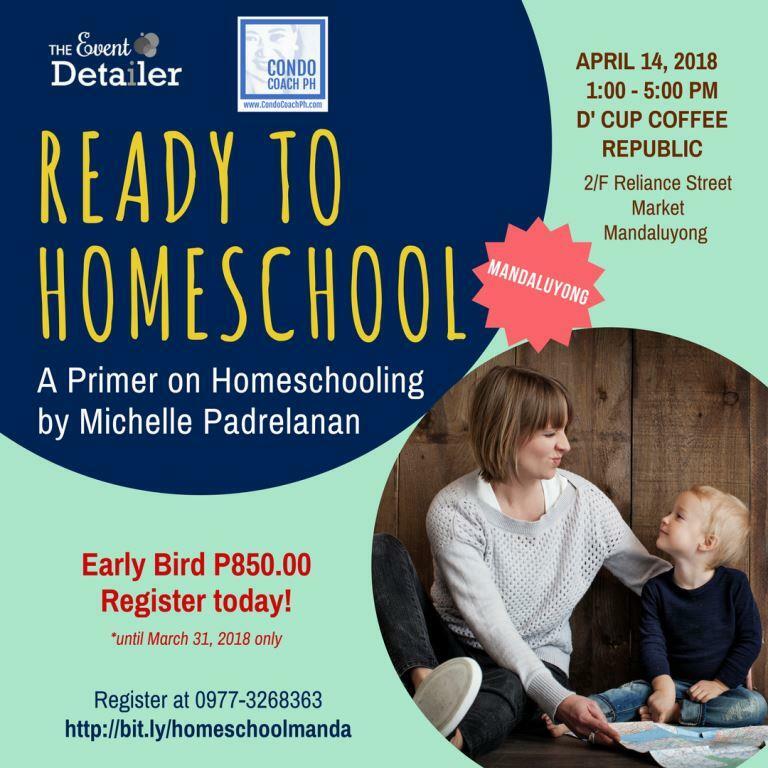 To help me prepare for such an endeavor, I plan to attend Michelle’s homeschooling talk on April 14. Dubbed “Ready To Homeschool – A Primer on Homeschooling,” this learning event is for newbie homeschoolers and those who are exploring this educational option. It will be on again, April 14, 2018 from 1:00 p.m. to 5:00 p.m. at the D’ Cup Coffee Republic in Mandaluyong City. Homeschooling in the Philippines has slowly but surely gained popularity in the last 15 – 20 years. Previously seen as an educational method only available to young actors and the elite, it is now a viable alternative to sending children to traditional schools. 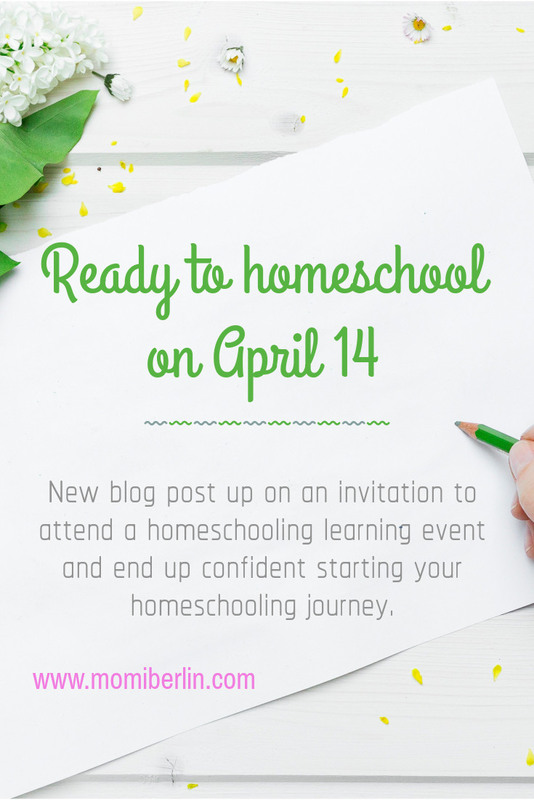 Michelle will shed light on the what and how is homeschooling done. I love her aim to give the attendees the confidence to homeschool their child as well. Other equally important lessons are the pros and cons of homeschooling and how to start it. She will also teach attendees how to craft their family’s homeschool mission statement. Another worthy lesson is how to handle major life events while homeschooling. As homeschooling can be dependent, there are institutions that offer homeschooling programs. Michelle will also share possible places to enroll. And as a bonus feature, attendees will receive a list of free homeschool resources that can be found online. This mother has such great confidence in Michelle. I know and believe in her goal that after the seminar, attendees will be Ready To Homeschool. I, together with other aspiring homeschooling parents, will have the confidence to embark on our family’s homeschool journey with a vision to produce well- rounded youngsters. Again, I believe this is a worthy investment. Registration for Ready To Homeschool is ongoing at bit.ly/homeschoolmanda. Ticket price is P1,100.00. If you could spend a thousand for your little darling’s toy, perhaps you may spare some more for a great lesson you could use and even echo to friends and loved ones. But more than that, the lessons learned will all be for your little ones who you consider your greatest treasures. Surely, you would want them to have the best learning experience and work opportunities. It really takes a lot of commitment to be successful in homeschooling one’s children. But it’s possible with the help of God. One of the benefots of homeschooling that I love is that we don’t need to rush to school daily and wake up very early. My kids and I are night owls. We find it hard to sleep early and turn our minds off. We also love that we can do lessons based on the kids’ interest and pace. Our kids could not get this individualized education in traditional schools. Most schools do not offer individualized curriculums. The few that offer have very high tuition fee. One school I recently discovered has a tuition fee of almost P200 thousand per child! Thank you so much Momi Berlin! See you on Saturday!